Congratulations again to the winner of last year’s Top Sims Contest, Alleran Tan of the USS Independence-A for his story, “A Lifetime In Moments.” Runner-up was “Union” by Della Vetri and T’Leah of the USS Constitution-B. 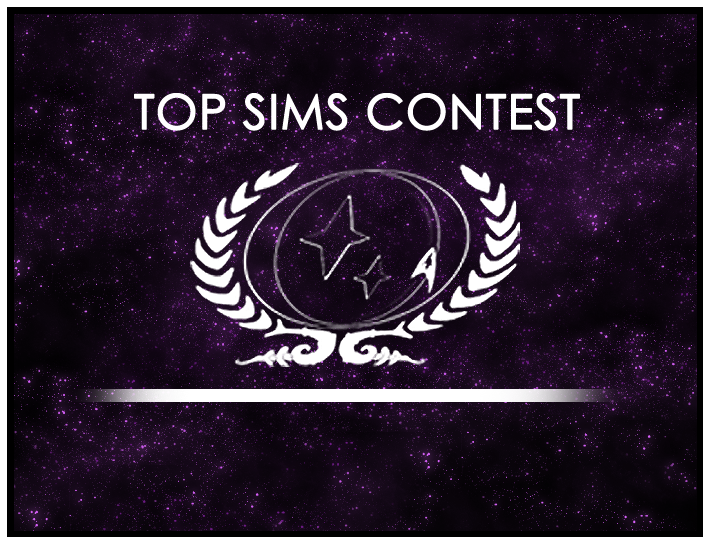 This year’s Top Sims Contest is now open, and we start the year by voting on those sims which were submitted after the final round of last year. 10 sims are in the running, and you’re encouraged to head to the Top Sims forum and vote now for your favorite! Also, don’t forget to submit sims from your ship. Everyone’s sims are welcome!